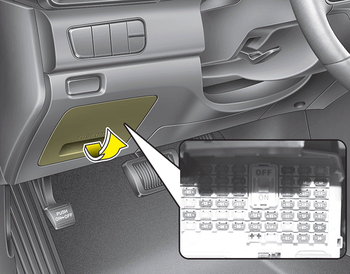 If the switch is located in the “OFF”, caution will be displayed in the cluster. 3. Pull the suspected fuse straight out. 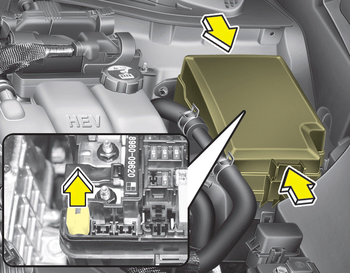 Use the removal tool provided in the main fuse box in the engine compartment. 4. Check the removed fuse; replace it if it is blown. Spare fuses are provided in the instrument panel fuse panel (or in the engine compartment fuse panel). If it fits loosely, we recommend that you consult an authorized Kia dealer. If the headlights or taillights, stoplights, courtesy lamp, day time running lights (D.R.L) do not work and the fuses are OK, check the fuse panel in the engine compartment. If a fuse is blown, it must be replaced.